At Aviation Oil Outlet, customer service is not just a catch-phrase, but a real experience. Our friendly, knowledgeable, and hard-working group of experts are always ready to help through multiple channels. So don't hesitate to give us a call, chat with us live, shoot us an e-mail, or even stop by for a face-to-face experience. 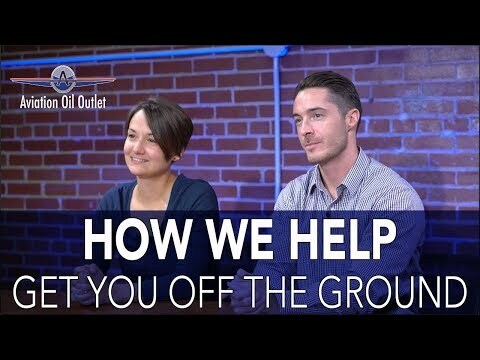 An Aviation Oil Outlet team member will be available to assist you, just steps away from where your product will be packaged in our brick-and-mortar, American-based facility. We believe customer service is not just about your sales experience with our team, but the entire order process. We take great pride and extra care in how your order is packaged and presented to ensure that it arrives at your front door (or loading dock) in the very best condition. Question about new products? Need to learn more about what oil you require? Or track your package? Want to learn more about FBO & Group discounts? Call or chat with an Aviation Oil Outlet team member today!